Moclips was the first new ulluco variety introduced by the Cultivariable breeding program and probably the first ulluco variety ever produced in North America. 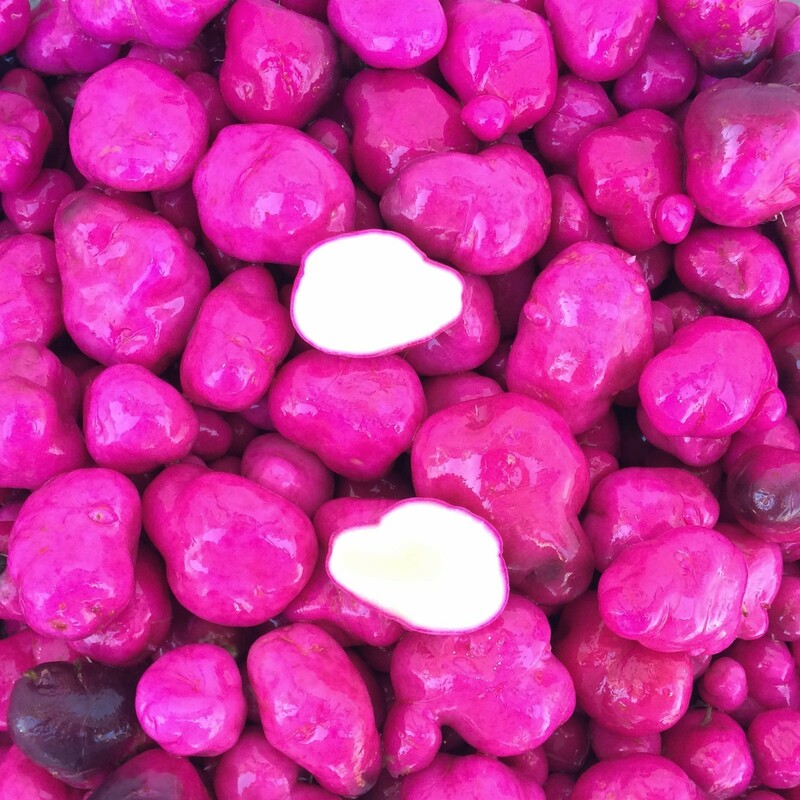 It is notable for improved size over most heirloom ulluco varieties and intense purple skin color. Moclips has a fairly strong beet-like flavor. This variety has firm white flesh. The skin has the same texture as the flesh, but appears as a thick purple ring around the bright white flesh. 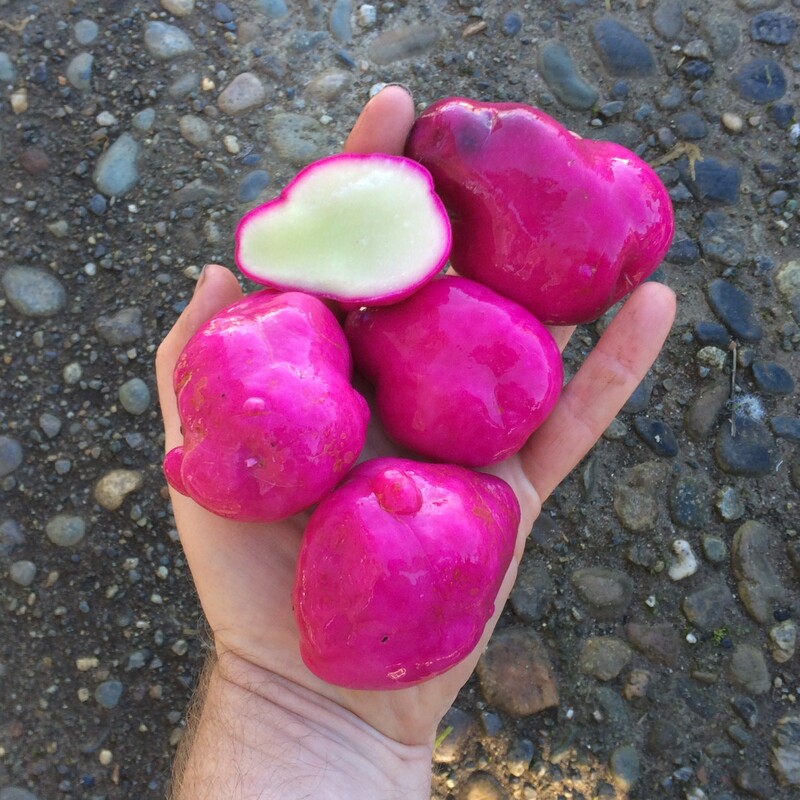 Smaller tubers can be sectioned for a nice contrast. Moclips plants are large and spreading. They will produce tubers over about an 18 inch radius at maturity. As with most ulluco varieties, the largest tubers are those found directly under the plant, while tubers formed on descending stolons are later and, therefore, usually smaller. Average yield is 2.4 pounds. Maximum tuber diameter is 3.8 inches. Average tuber diameter is 0.9 inches. 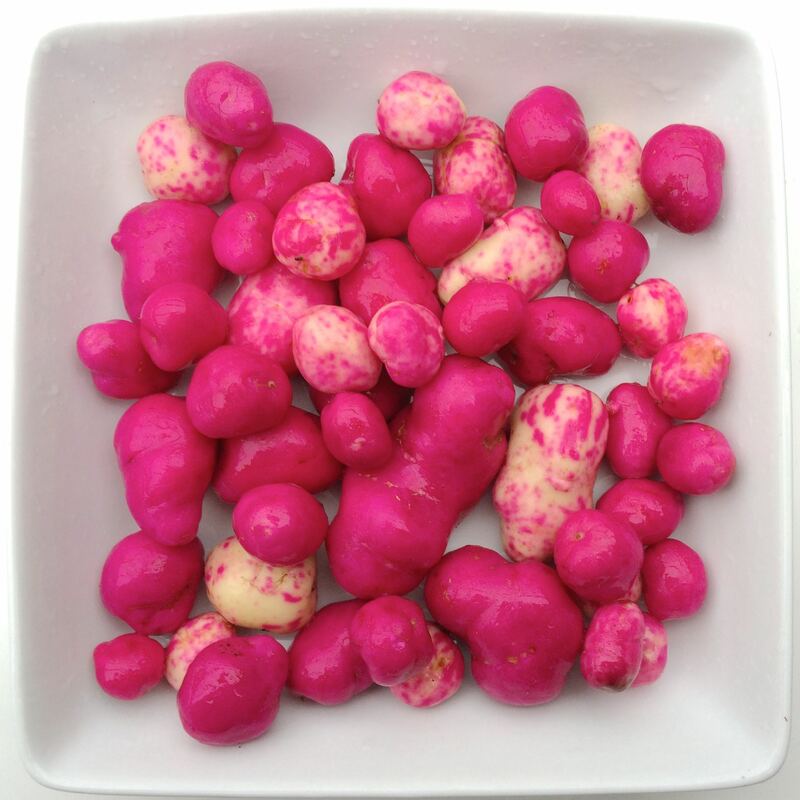 Like most ulluco varieties, Moclips forms a very large number of small tubers, roughly half of the yield is comprised of tubers of 1 inch diameter or larger.